Minova Fire Fighting Pumps are UL Listed and NFPA Compliant. Minova pumps are manufactured to highest international and national standards and undergo stringent quality checks. Minova pumps have a discharge range from 50 GPM to 2000 USGPM and have head range from 100 psi to 210 psi. Minova pumps are designed to operate at high efficiency while providing greater reliability in service. Minova pumps coupled to the driver and are installed on fabricated steel base plates which can be installed in site easily. Minova has wide range offering in End Suction type and Split case type of fire pumps. 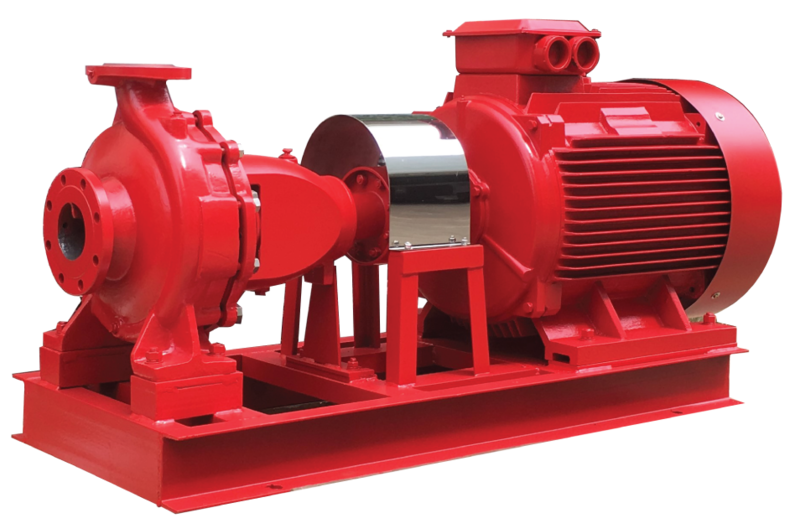 End suction pumps are generally used in small capacity applications. End suction pumps are of back pull-out design that enables service of the pumps without disturbing the piping work at the site. More economical in case of low flow applications compared to split case pumps. 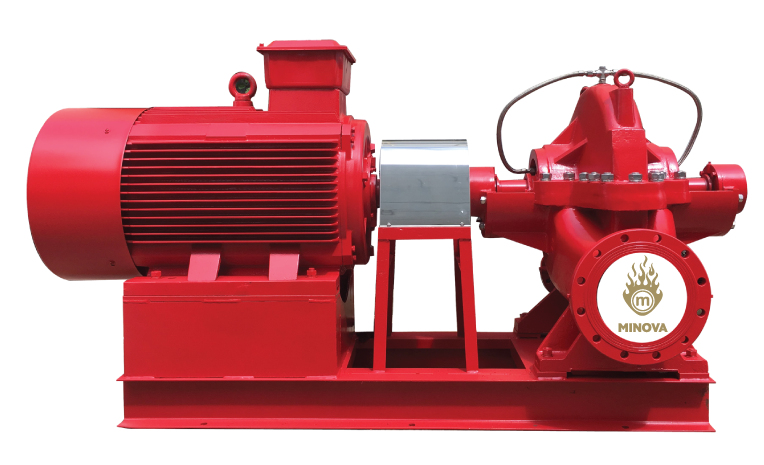 Horizontal split case pumps are most common type of fire pumps. Split case pumps allow the service of the pump without removing the pump itself from the base plate.